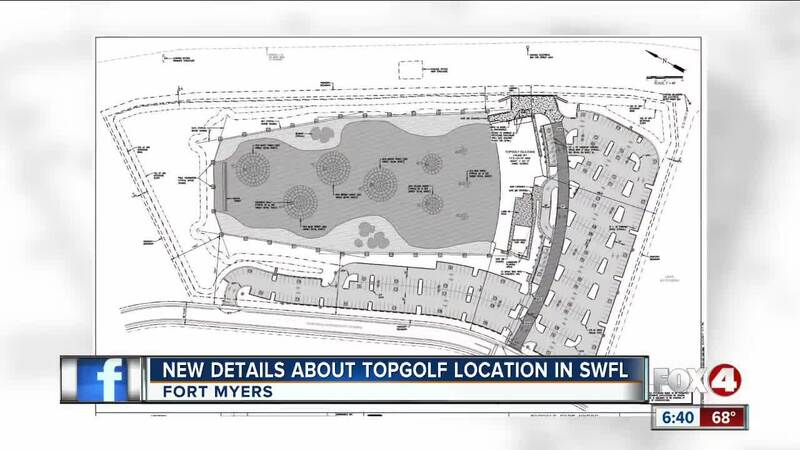 We are learning more details about the plan to bring the popular "Topgolf" attraction to Southwest Florida. A new plan and blueprints were recently submitted to the city of Fort Myers. They show the proposed location for colonial blvd and I-75 near Six-Mile Cypress. This is video from top golf in Tampa. Venues feature a mix of golf and entertainment, along with a food and drink menu, televisions and music. The company already has three locations in Florida.